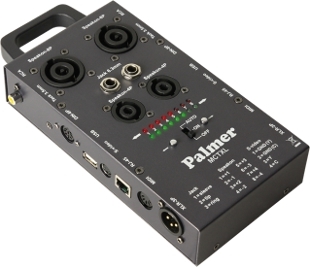 Enlarge Enlarge The new version of the MCT-7 cable tester, the Palmer MCT-8 has serveral new and interesting features. Any wire of cable with any plug can be tested using the supplied test cables. Test results are shown visually by LED and audibly by buzzer. The (supplied) 9V battery is installed in a slide-in compartment for easy replacement. Enlarge Enlarge Enlarge The AHMCTXL is a flagship amongst the cable testers. 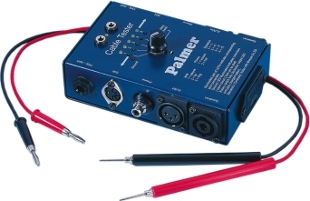 In addition to the standard audio connectors this cable tester can also test cables with RJ45, S-Video, USB, 3,5mm mini jack and 8P Speakon connectors. The pin connections can be displayed in an automated test cycle or manually. In the manual mode you can view each connection step by step by using the left/right arrow buttons on the cable tester. The battery compartment on the bottom of the device makes battery replacement easy.